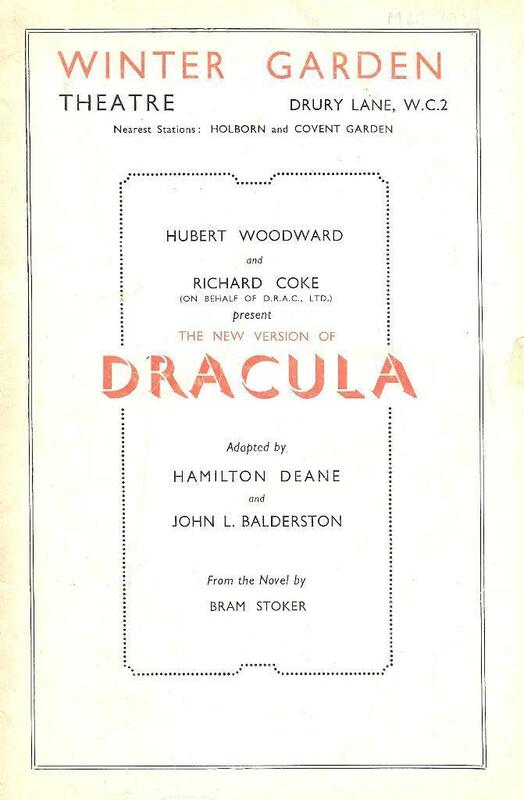 An Irish actor/manager, playwright and director, Deane created the popular image of Dracula clad in evening dress and flowing cloak with a stand-up collar when he wrote the first official adaptation of Bram Stoker’s novel. 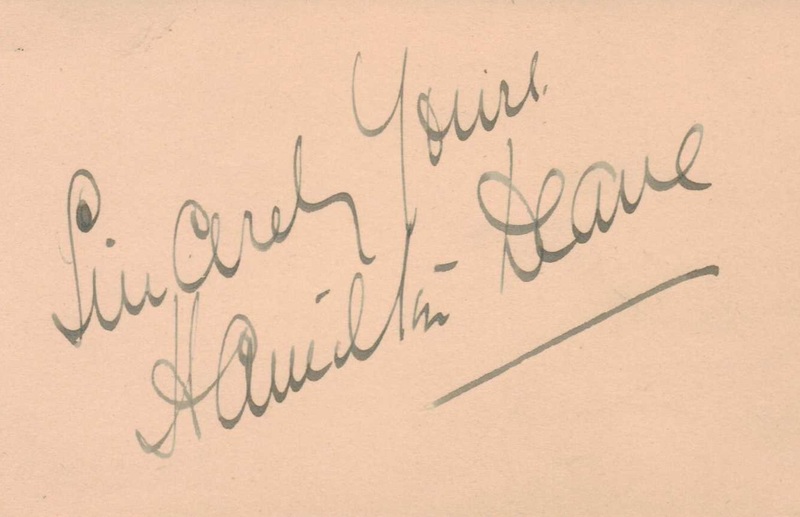 From the play’s premiere in 1924, he played the role of Dr. Van Helsing both in the West End and in many touring productions. 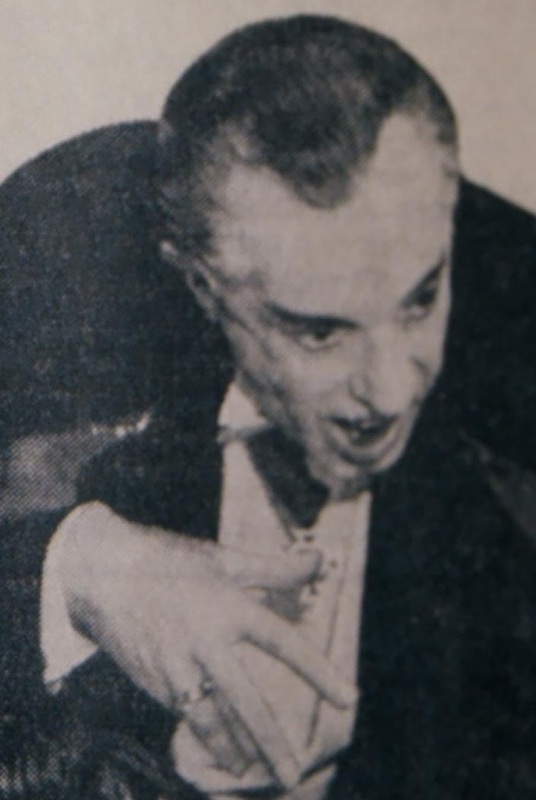 In 1939 he took on the role of the Count himself. Bram Stoker’s Dracula will be revived at the Winter Garden Theatre on March 20. 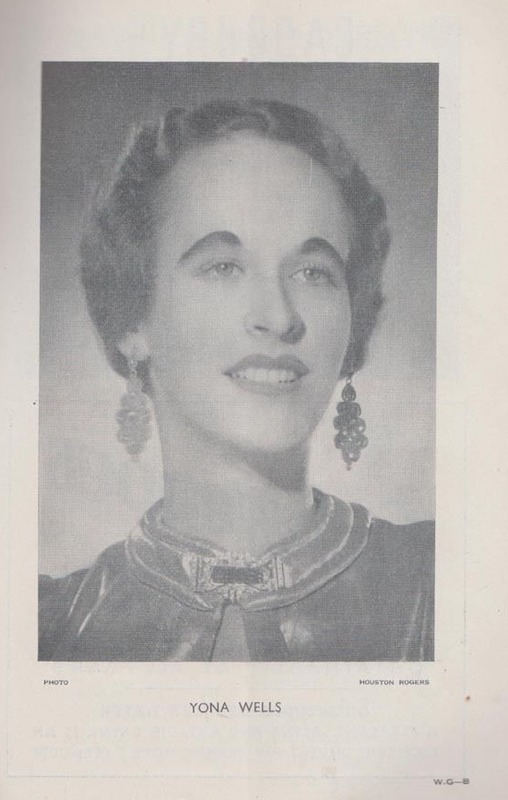 The cast will include Mr. Hamilton Deane, Mr. Eric Lugg, Miss Mary Patrick, and Mr. Bernard Jukes. The play will be the first of a series to be given at the Winter Garden at popular prices. 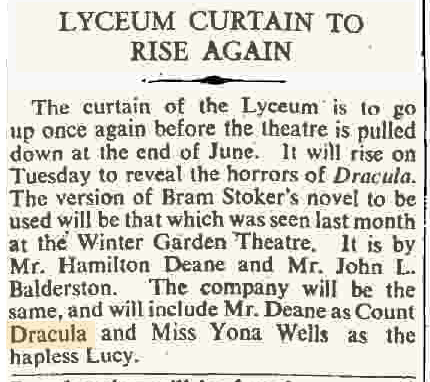 Dracula, an adaptation of Bram Stoker’s melodrama, which kept a nurse in constant attendance 12 years ago, will reopen the Winter Garden Theatre today week, with Mr. Bernard Jukes as Renfield, a part which he played for nearly 4, ooo times in England and America. 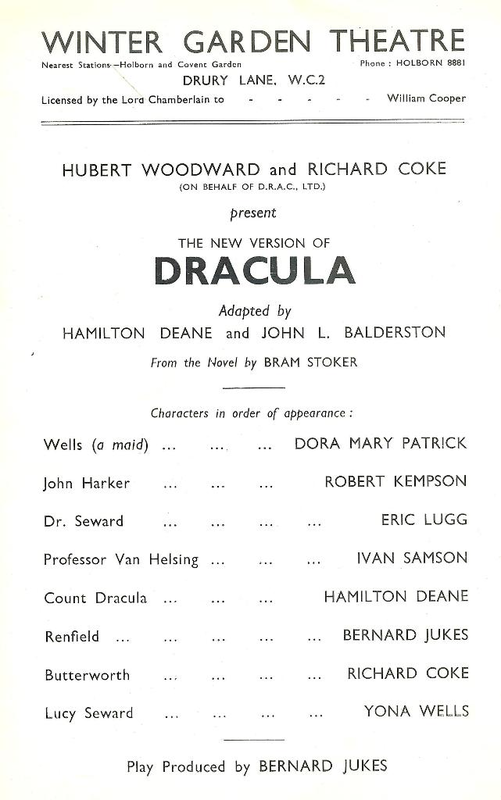 Others in the company will be Mr. Hamilton Deane, who will once again be seen as Dracula, Mr. Ivan Samson, Mr. Eric Lugg, and Miss Dora Mary Patrick. 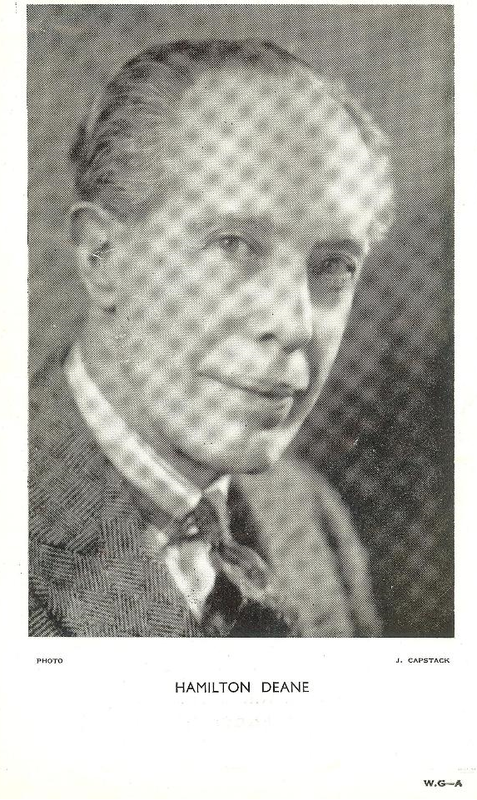 The production will be presented by Mr. Hubert Woodward and Mr. Richard Coke, and be the first of a series of melodramas to be presented at the Winter Garden Theatre at popular prices. Dracula, adapted from Bram Stoker’s novel, will be produced at the Winter Garden Theatre on Monday evening. 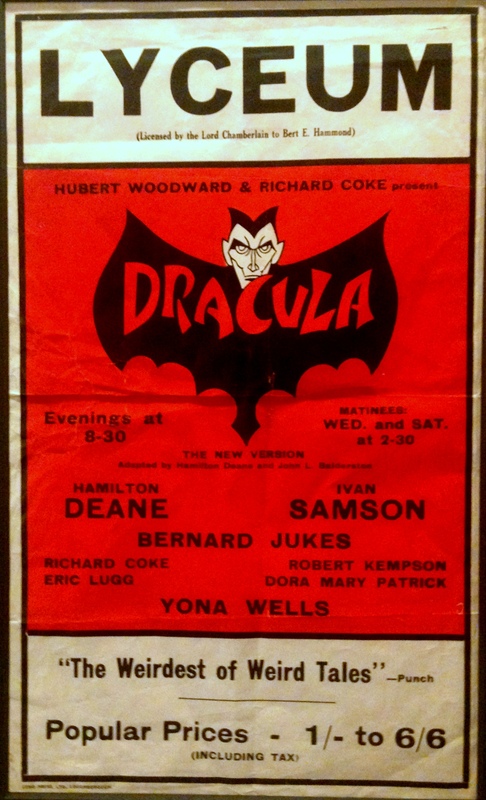 “DRACULA,” By Hamilton Deane and John L. Balderston, Winter Garden Theatre. TRAINED nurses hovered in attendance round the audience at the Winter GardenTheatre to administer to those who might be overcome by the grisly horrors of the theatrical version of Bram Stoker’s famous thriller. There were no casualties as far as I could see. This may be taken to indicate that a first-night audience is made of stern stuff rather than that the play lacks horror. Indeed, what with ghastly screams and howls without, bats flying past open windows, a demented gentleman with a passion for eating flies and spiders, dire deeds in the dark, the exorcising of unclean spirits by wolfbane, and the sinister figure of Count Dracula appearing ever and anon, there was enough to satisfy any lover of the “fat boy” drama. If some people shuddered, there were others hardy enough to laugh. The piece appears to have undergone some changes since last I saw it several years ago. Now the bloodsucking Count Dracula, from Transylvania, who has managed to live for five hundred years by unholy practices, has transferred his horrible activities to a ruined castle in Purley, of all places – a respectable suburb which, I am assured on good authority, has been practically free from werewolves for many years. However, this is a frank thriller with no nonsense about any actuality. It’s shocks are administered in goodly doses and with punch. 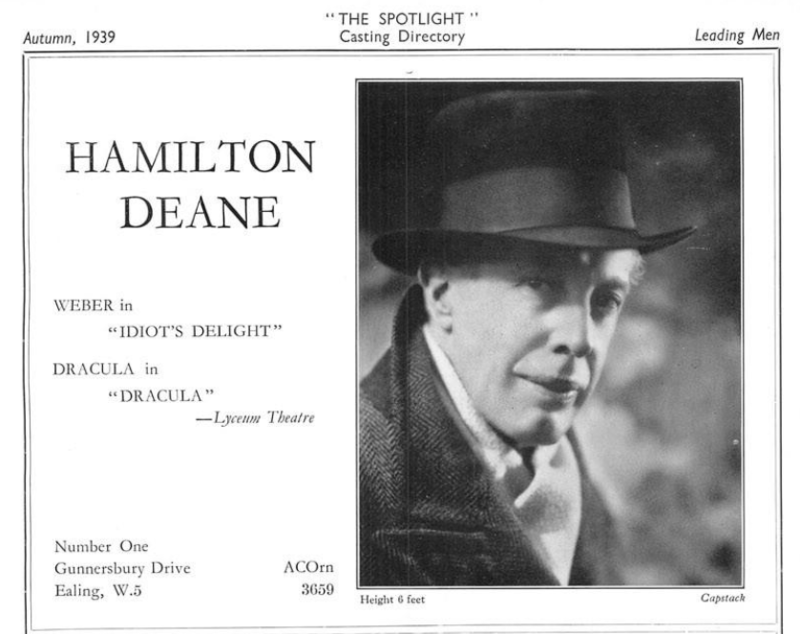 Hamilton Deane, wearing as they say “immaculate evening dress” throughout, is suave and sinister in the most polished way and one does not feel easy until he is put out of the way with a stake through his heart. 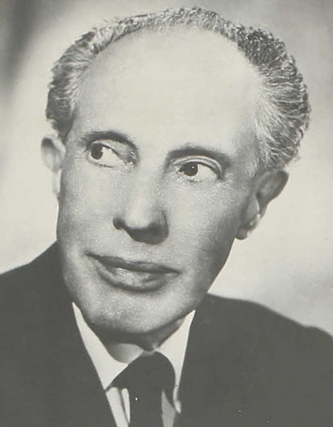 Bernard Jukes’ paroxysms as the fly-eating gentleman are highly disturbing and there are valiant performances by Ivan Samson , Eric Lugg and Yona Wells. 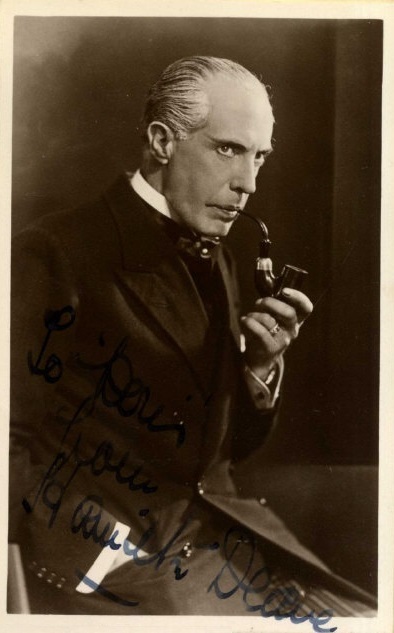 One of the performances at the Lyceum was attended by Bela Lugosi, who was in England filming Dark Eyes of London. He appeared on stage with Deane at the close of the performance. 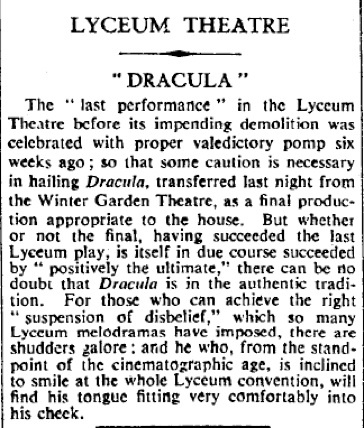 A series of “farewell to the Lyceum” speeches by well-known artists who have been associated with the theatre will be made from the stage during the run of Dracula. The first speech will be given before to-night’s performance by Mr. Gerald Lawrence, who began his stage career at the Lyceum 41 years ago and who was Sir Henry Irving’s last leading man.